Playing with engine location. Moved it forward some. 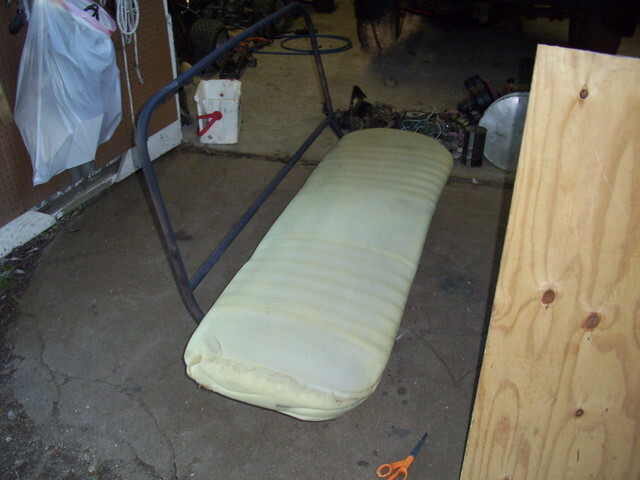 I just moved it back a few days ago and had it welded into place. 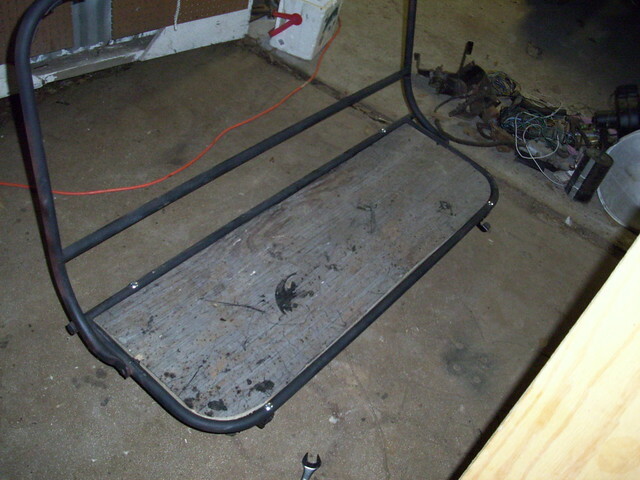 Found a new rear bumper to use at the local junk yard off of a 65 ford PU. 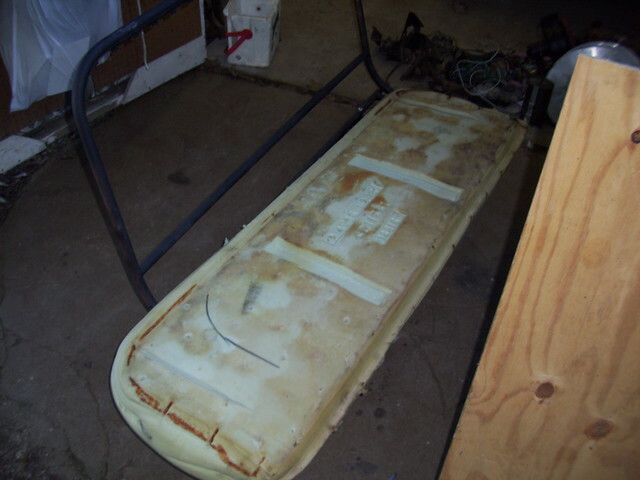 It is from a Local dealship that went under in the 70's and have home town on the opposite side of it. I love it. My preference would be a straight 6 and stock tires and wheels......but hey, I "broke in" on a 51 International Fire Truck. Turn the red lights on and the headlights dimmed. I'll give ya 5 CF-30 Toughbucks for it right now. 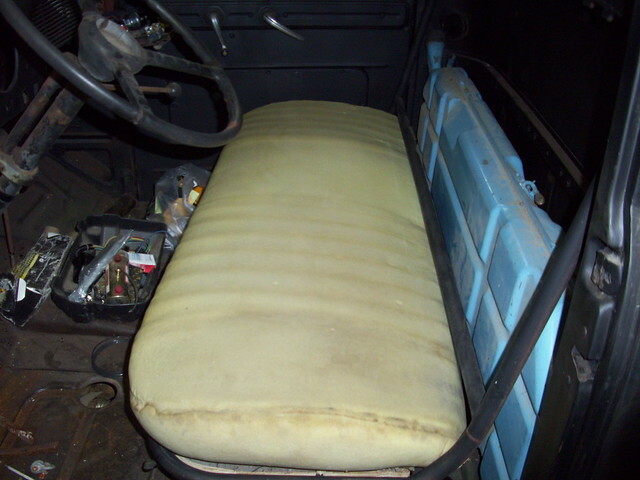 The truck sit for about 6 months. I ordered more parts I needed and figured out some headers that would fit. Bought them and swapped them out. I had to take my stock starter off but had a gear reduction starter that I thought would fit. I needed some help to get the engine properly set up. A friend of mine has a local muffler shop and has built many hot rods for himself and for customers. Even splicing two frames to update a older frame. I finally found him caught up on some of his projects and talked to him about getting the engine and trans angles right, mounted securely and doing the exhaust on it. Tuesday he said bring it by so I loaded it up on the trailer and took it up there. It turned out to be a slow week for him so we got a lot done. I brought the truck back home Friday. 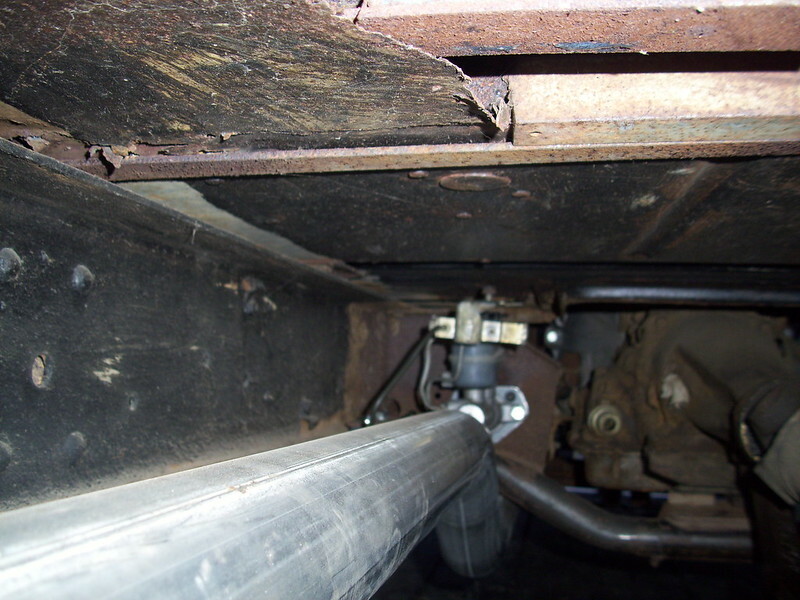 We lowered the engine 1-1/2" and set it back 1-1/2" to here I had it before. Leveled it out and put one bolt into it from the shock mount hole to hold it into place. Next we moved to the trans (he has two lifts and they make me want one so bad for my little shop, lol) Moved the mount to where it needed to be, shimmed it for proper drive shaft angle relationship to the rearend. 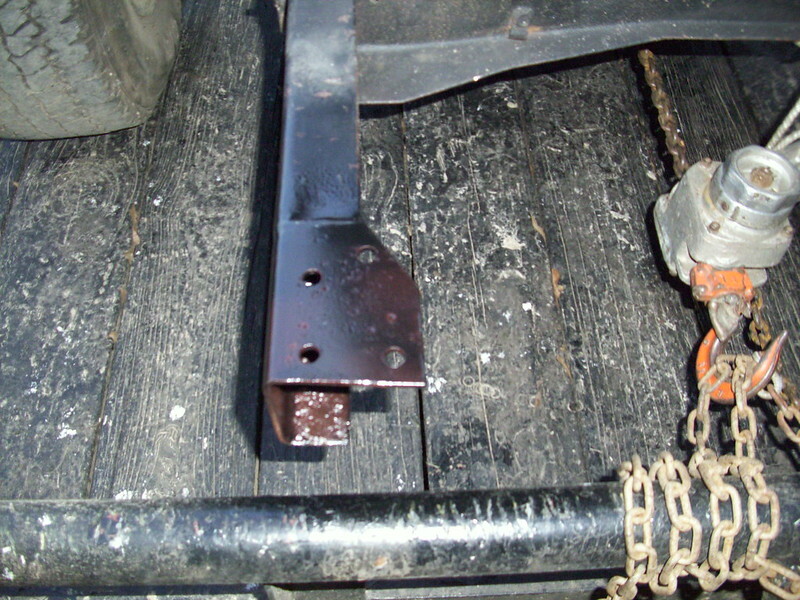 Then we welded it up the universal mounts permanently into place. We had to swap the long oil filter for a short one to clear in the front. Put new shocks on all four corners. Greased up all grease fittings. He ran the exhaust back to right before the rear axle. When he finishes the work I have him doing on the bed we are mounting the bed and then finishing up the rear exhaust straight out the back. The exhaust is 2-1/2" alummized pipe with stainless mufflers. 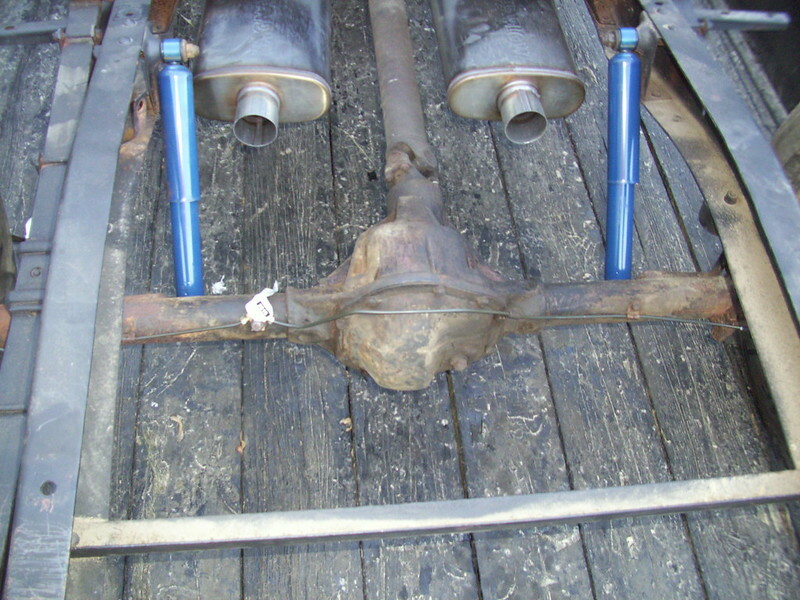 The previous owner had torch cut the front frame horns. 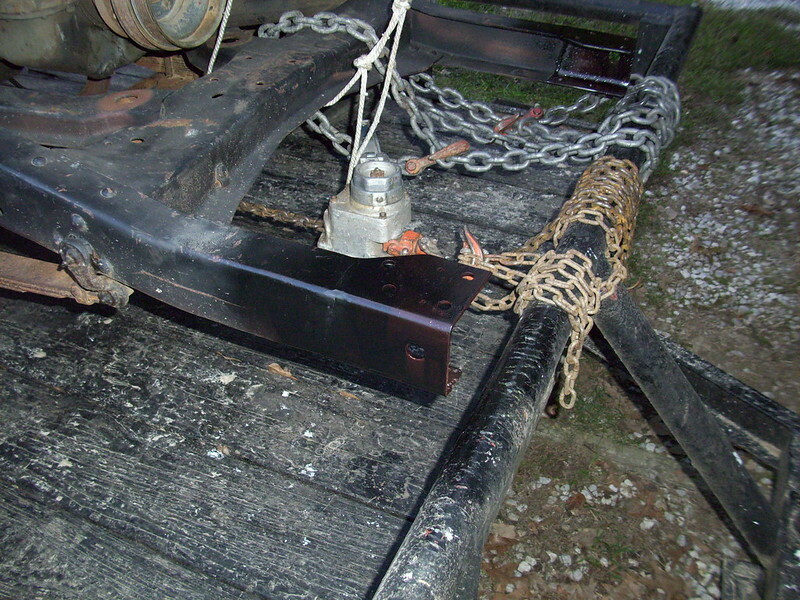 I had got the right bumper off of eBay and had some frame horns from a 54 ford truck from a bumper we had cut off and I thought I was going to have to use. 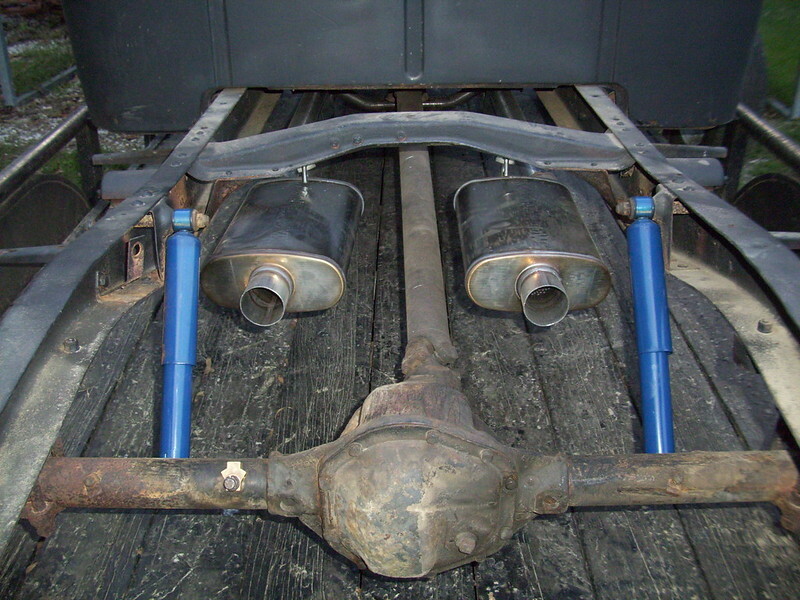 He grafted the 54 horns onto the truck. 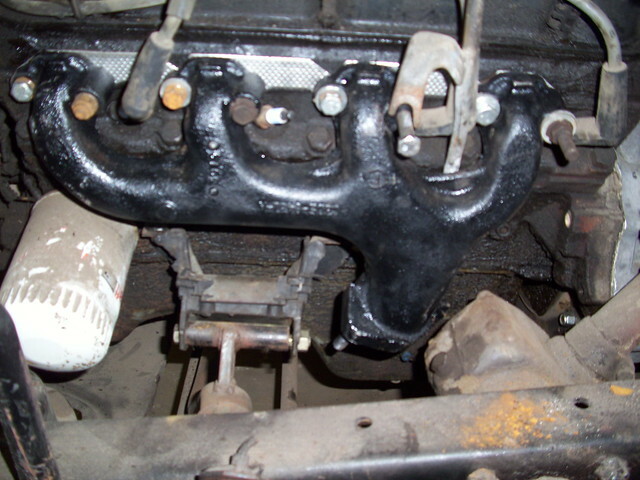 We mounted the three bolt to 2 bolt early ford master cylinder adapter. 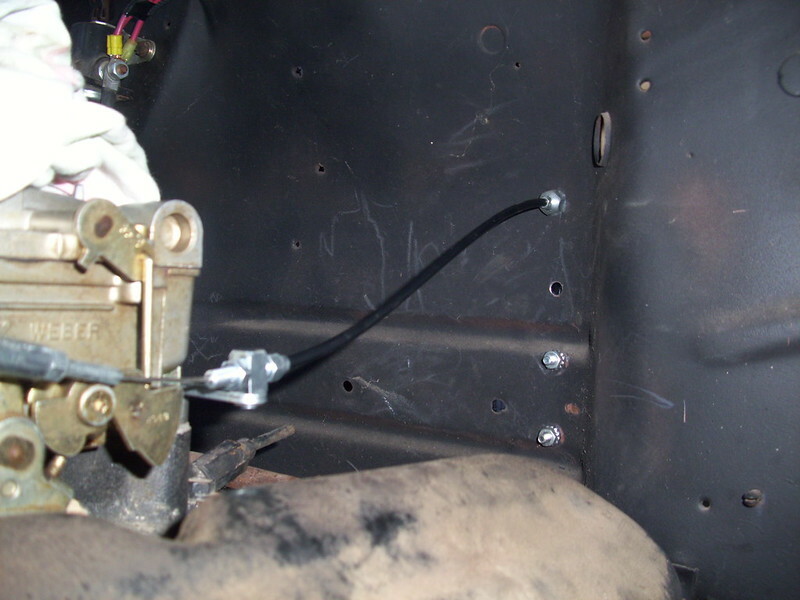 Mounted a 87 T bird master cylinder. 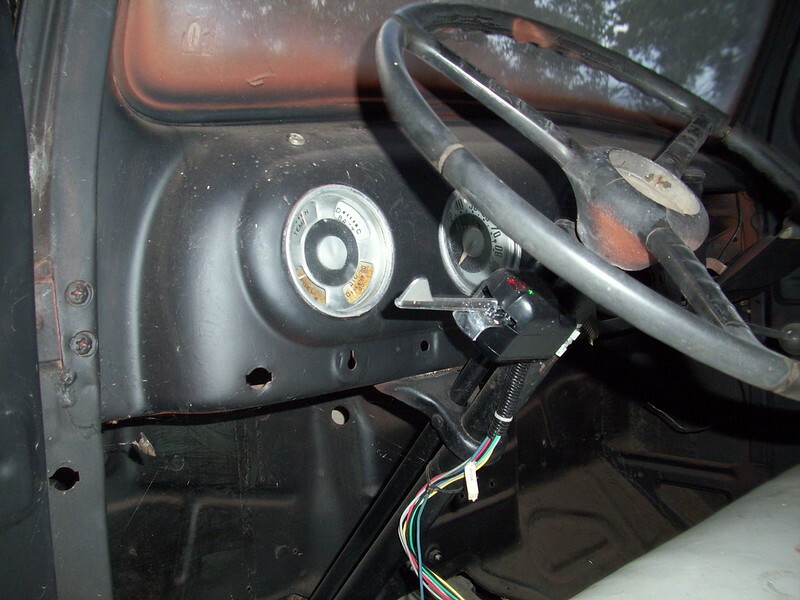 It has a deep hole in it like a standard manual disk master cylinder and is a 7/8 DIA bore. 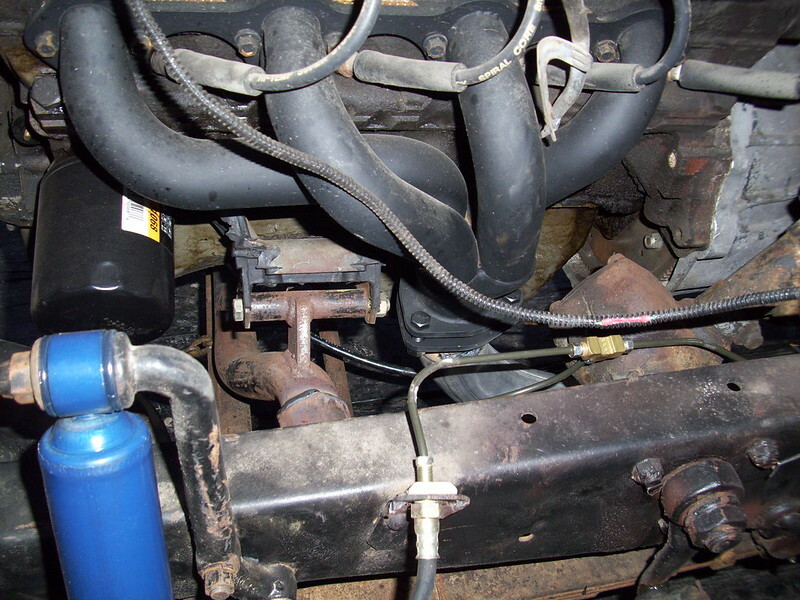 I use the valving from the same master cylinder but re located it to above the fill point as the master cylinder is now under the cab floor not on the fire wall like a newer car. 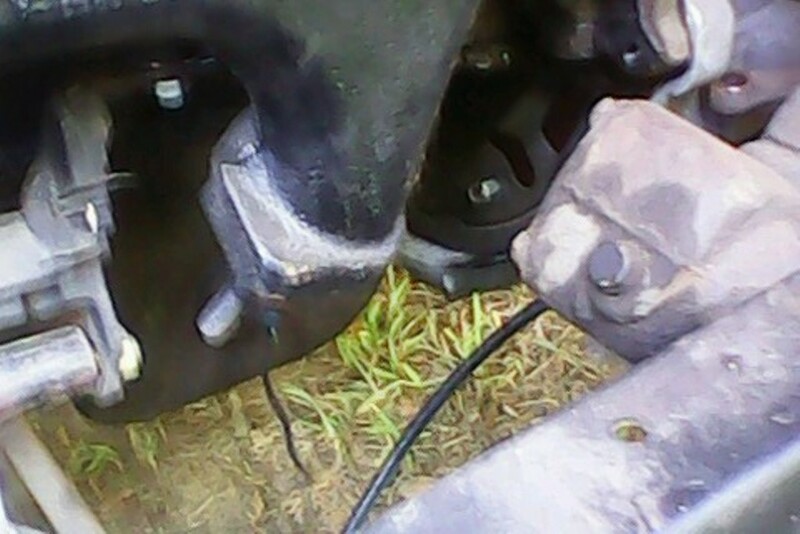 I ran new brake lines all the way around. I finished the hard lines today. I have to wait till Monday when the rear rubber brake line comes in. Then I can test the system and bleed the air out. To make sure it will work out like it should. Several pin holes were welded up while we were there too. 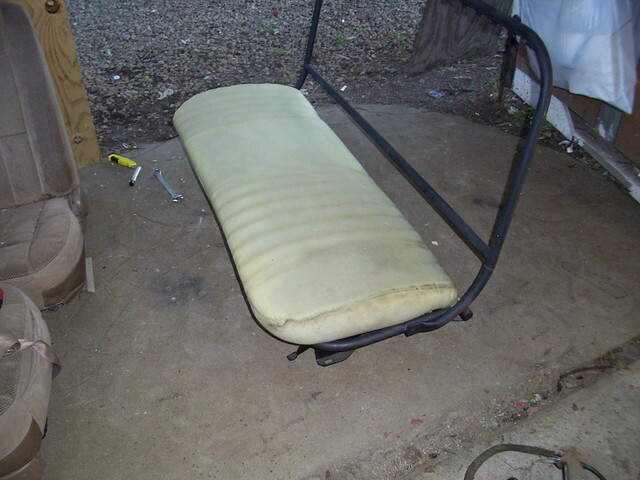 I fitted the the rear bumper I got out of the junk yard while it was there also. On the headers they fit good but it turns out my style of mini starter would hit the header. Speedway called for there "special" mini starter to work. Me and him hit the books and internet. We figured out there "special" 150 dollar starter was a stock starter for a 94-95 mustang. 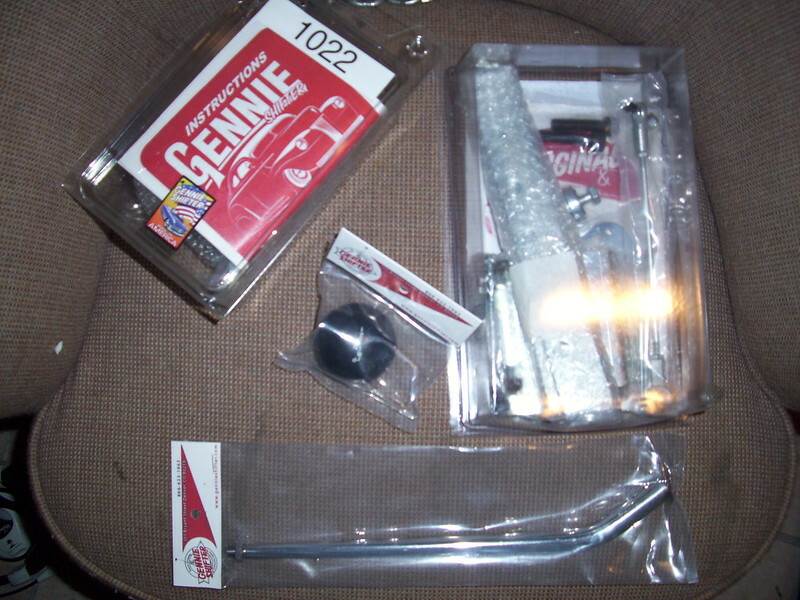 80 bucks later at the parts store got it. When I went to the first auto parts store to do the shocks they told me special order only, 350 for the front shocks. BS. I went to the old school parts house across town. All 4 of them were 87 bucks together. This brings me to today. 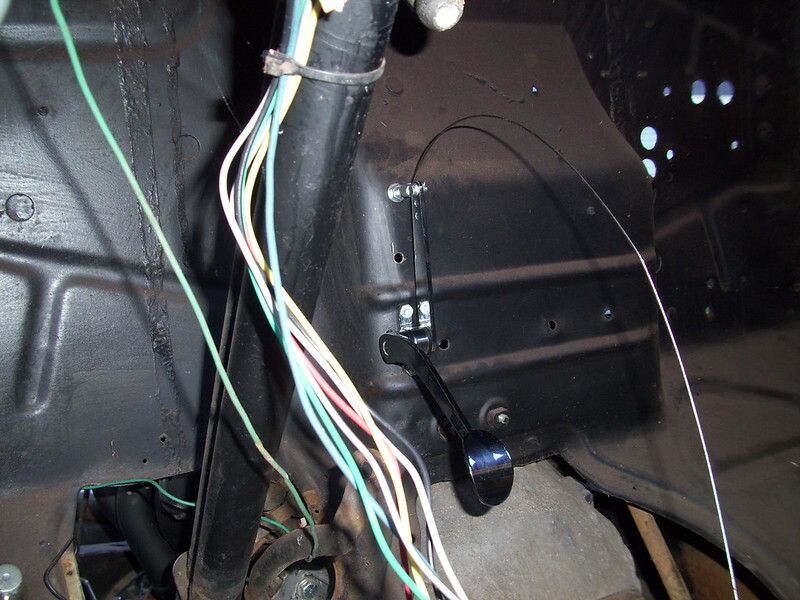 I got the last of the rear brake lines installed and got the spoon gas pedal installed. I need a longer stud in the rear of the carb so I can shim up the bracket. Now I will be getting the last brake part Monday. Then on to wiring this beast up and firing it off for the first time. 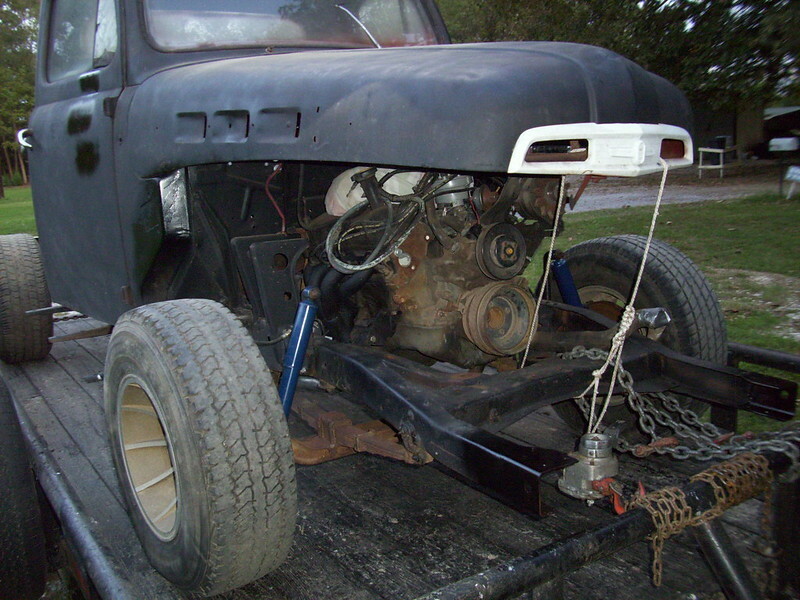 If that old truck would of had the old flat head in it and still running I would of kept it that way. It just would of had a two pot intake with aluminum heads, lol. The old truck should scoot well. 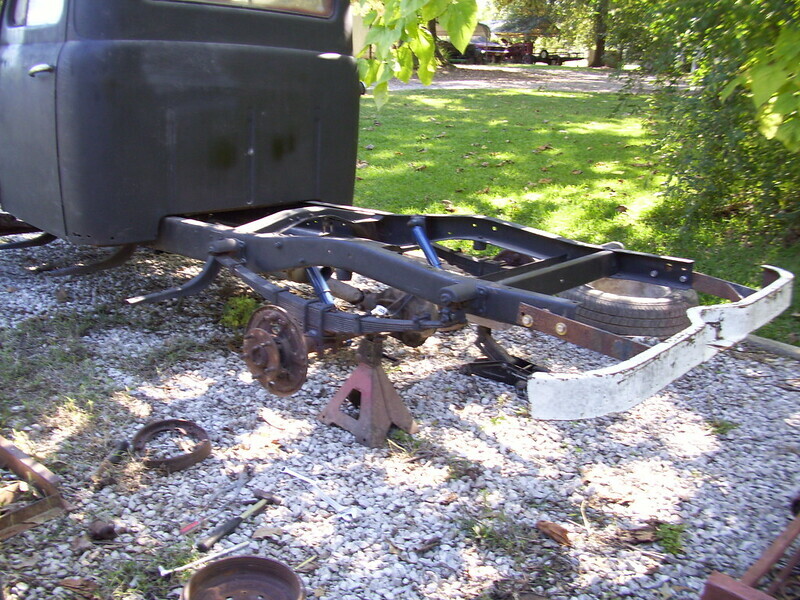 The 52 has the Dana 44 rear end stock. 3.92 gears. 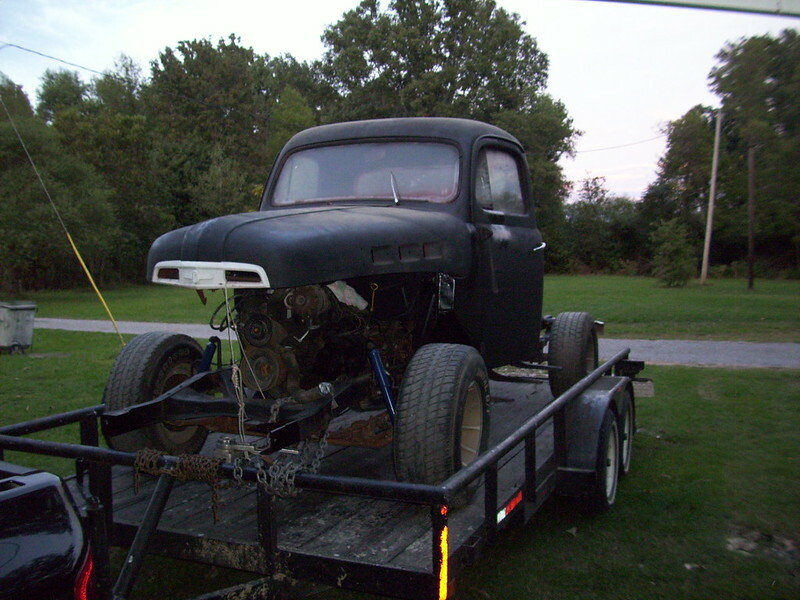 If I can find a 73 to 57 ford truck with the 9" rear it's a drop in for this truck. I would just have to mod the shock mounts. 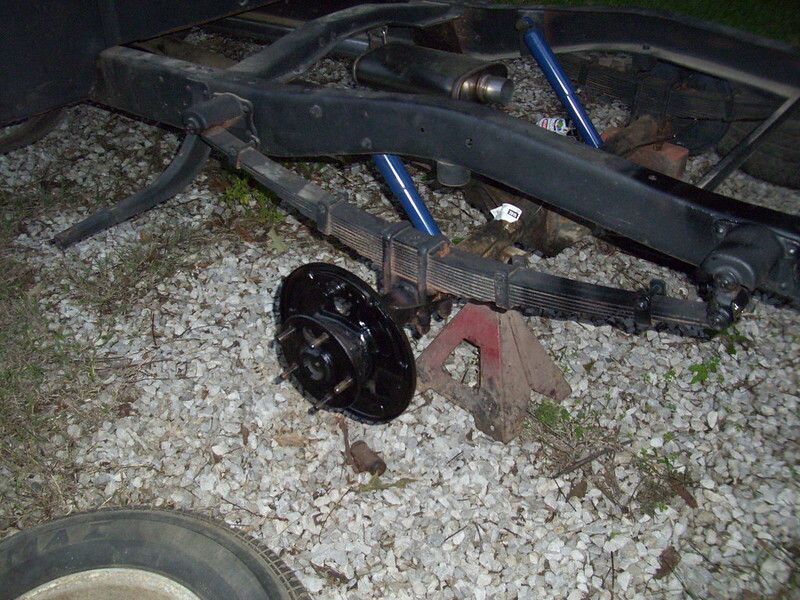 Been out in the junk yard getting the rear brake parts I needed. I wanted new, even napa let me down on that. Couldn't get it. The shifter came in today. Won't a newer backing plate fit with "updated" brakes? 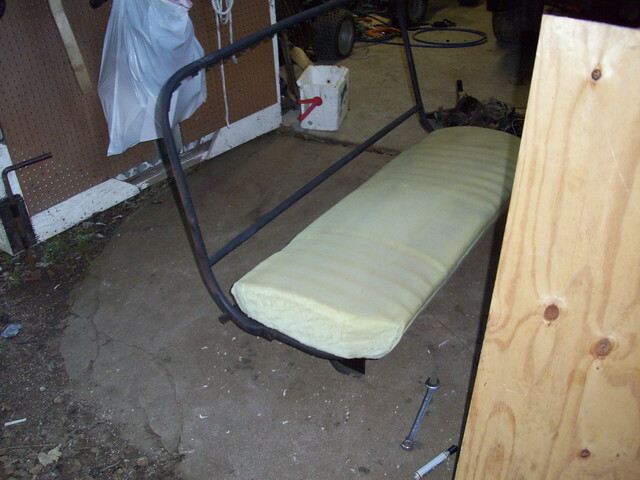 On my first Ranger I swapped rear backing plates and drums from an Aerostar. It gave me 10" x 2" brakes. Original was 9"x 1.5". I used the same axles. It was a bolt on upgrade. In your case, I was thinking about a mid 70's CJ5. My 74 had a Dana 44 in the rear. It had a Ford bolt pattern on the wheels also. The critical measurement will be from the end of the tube flange to the wheel mounting face on the axle. They might fit. I don't think they are any 73 or so trucks for the to check. Maybe on that 65/66 model. He use to have a TON of cars. Close to 350 different. But he had some crushed when he went on vacation years ago and had a bunch of them marked don't touch. Just the ton's of 70's 4 doors he had. WELL they went on a crushing spree. Classic cars I know that felt the crusher was a 60's t-bird with suicide doors, 60's t-bird factory 390 high performance, big block galaxy, 67 Camaro, 2 60's mustangs, several, several classic 1/2 ton trucks, 87 mustang, 12 big block chevy cars and trucks from the factory, nice 440 cid mopar still in the car, two different 60's imp's, chevelle, two VW bugs, 39 chevy sedan 2 dr, 39 chevy sedan 4 door . I think close to 200 cars disappeared. It was a BIG STINK when he got back. It was only suppose to be about 100. Since then what he had left a ebay dealer in Monroe found out about him and bought every fast back mustang and other hipo's he still had. I know who the guy is. He begs to buy cheap, then jacks it up high, high and sells. I think I am going to keep this rear end how it is until it dies, then I will be looking for a 57 to 73 ford 9", it's a drop in.